SANTA MONICA, Calif. – February 13, 2014. Valentine’s Day is right around the corner. Right now is the best time to buy those roses that say, “I love you,” to that special someone. In hopes of finding the best place for you to buy roses, we spoke with several florists and flower shops in Santa Monica. Ann’s Flowers, located at 19th and Wilshire is doing a booming business. According to Meyer, they have already turned down some people who requested delivery service for Friday. 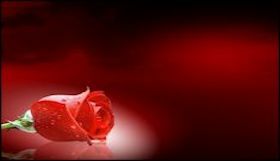 Meyer said, red roses are the most popular – of course – and they are selling a dozen for $100. “This is the busiest time of the entire year,” said Saeed at Farrah’s Florist. “We are going to be working late for the next couple of days,” he said. It seems that most people wait until the last minute to buy flowers. At Farrah’s, they basic one dozen bouquet of roses starts at $89.00. If you are pressed for time, you can always order online and they will deliver – even on Saturday. At Edelweiss Flower Boutique on Ocean Park, Ben said they have been doing a steady business but expects it to pick up tomorrow. “We are going to work extended hours over the next couple of days,” he said. “We don’t there to be an uprising because people can’t buy flowers,” he joked. Their price for one dozen roses, $95. But what if you’re on a tight budget. You have a wife, children, pets, and other financial obligations. Or maybe you are just want a bargain when you shop. For that, you are going to have to go Rite Aid, CVS, Bristol Farms, Whole Foods or even Ralph’s. There are bargains to be had. At those places, we found that prices range from $29 – $39. The roses at Rite Aid and such are totally acceptable. Let’s face it, everyone loves to be remembered on Valentines’ Day and whether you spend $29 or $100, you are sure to bring a smile to someone’s face this Valentine’s Day.